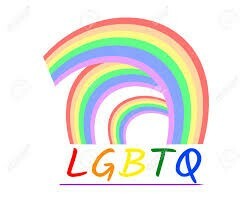 The Jewish Federation Connecting with Community welcomes Drew Herzig, a member of the City of Pittsfield's Human Rights Commission, to discuss LGBTQIA+. LGBTQIA+ issues have been in the news of late. The civil rghts of the transgender community have been affirmed, including here in MA, but the backlash continues. What's going on? What does the LGBTQIA+ acronym stand for? All those letters! What do terms such as gender identity and gender expression mean? and what's the big deal about bathrooms? A former city councilor in Astoria, OR, Herzig orchestrated the adoption of a nondiscrimination policy that included sexual orientation, gender identity and expression and also helped found the Lower Columbia Diversity Project, which he said often held discussions led by members of minority communities.